Clearing out clutter in the Garage? We have flat rate pricing for home renovations. Just call to arrange for a garbage bin drop off and call again when the bin is filled. It’s that simple! If you’re still uncertain, call us. We will advise you on the waste container you require. No automated phone service. Always someone real to talk to. 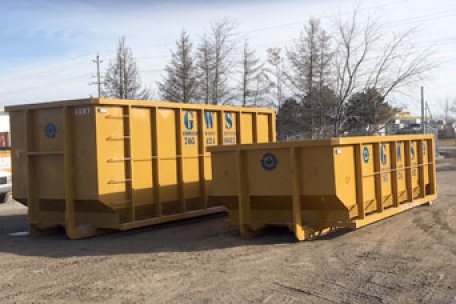 Roll off disposal bins in Simcoe County come in all different sizes. Whether you are a home owner or a construction company, services can be customized to suit your project and budget. 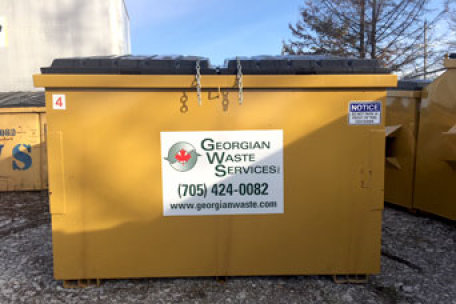 At Georgian Waste Services, we provide services for every aspect of waste removal including clean up from demolition sites. 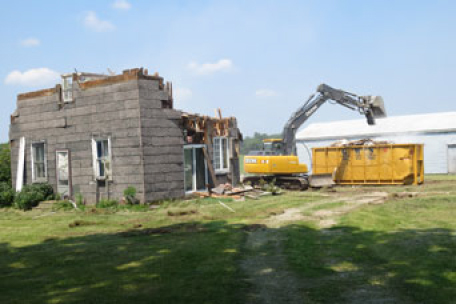 We have a diverse fleet of trucks offering different options from small demolitions to large scale demolitions. Due to recent changes in municipal waste regulations, some commercial buildings and retail offices have been left to make alternate arrangements for waste removal. We offer scheduled services for the removal of waste, cardboard and recyclables.